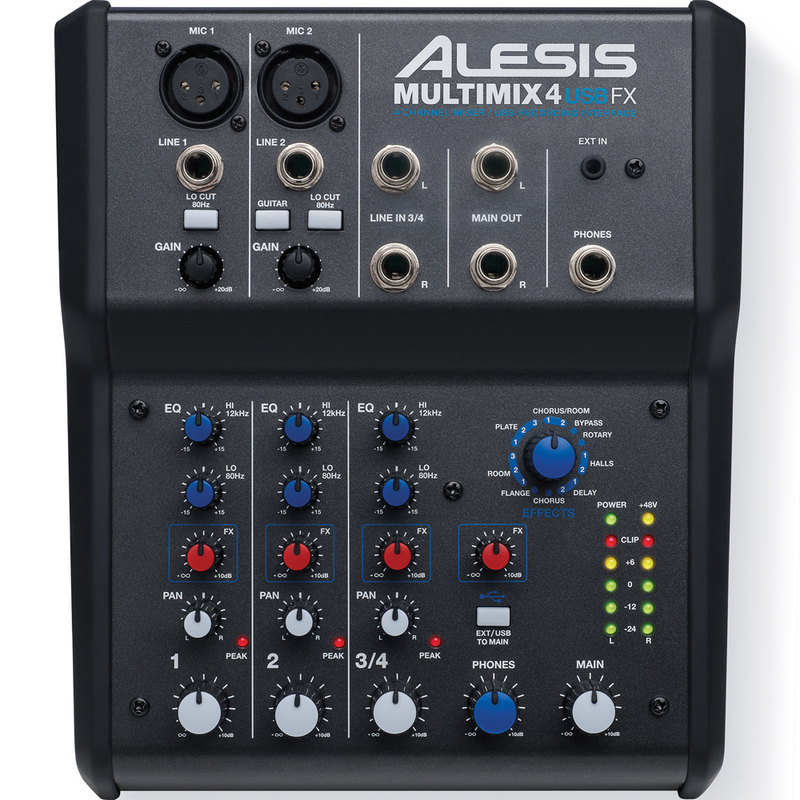 The Alesis MultiMix 4 USB FX is a 4-channel desktop mixer with a USB digital audio interface that lets you mix live, in the home studio, and record audio directly to a computer. 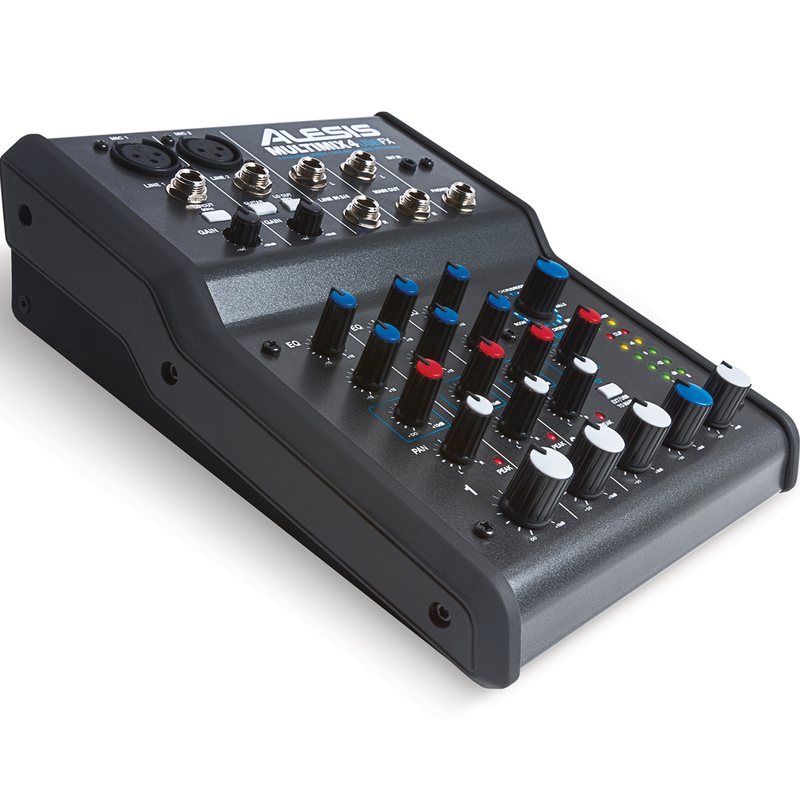 This compact mixer is perfect for use in computer-recording setups, intimate live-sound environments, video-editing and production studios, and portable podcasting setups. It has 16-bit, 44.1/48 kHz signal stereo in / stereo out via USB for easy recording and playback. MultiMix 4 USB FX has 4 1/4" line-level inputs for instruments and high-impedance guitar input, and 2 XLR inputs with independent gain trims, switchable high-pass filters, and 48V phantom power. There are also 2 stereo 1/4" inputs and 2 stereo 1/4" outputs, one of which is a headphone output with an independent level control for private monitoring and mixing. Additional features include onboard volume and pan controls, as well as dual-band EQ on XLR inputs for accurate tone control. 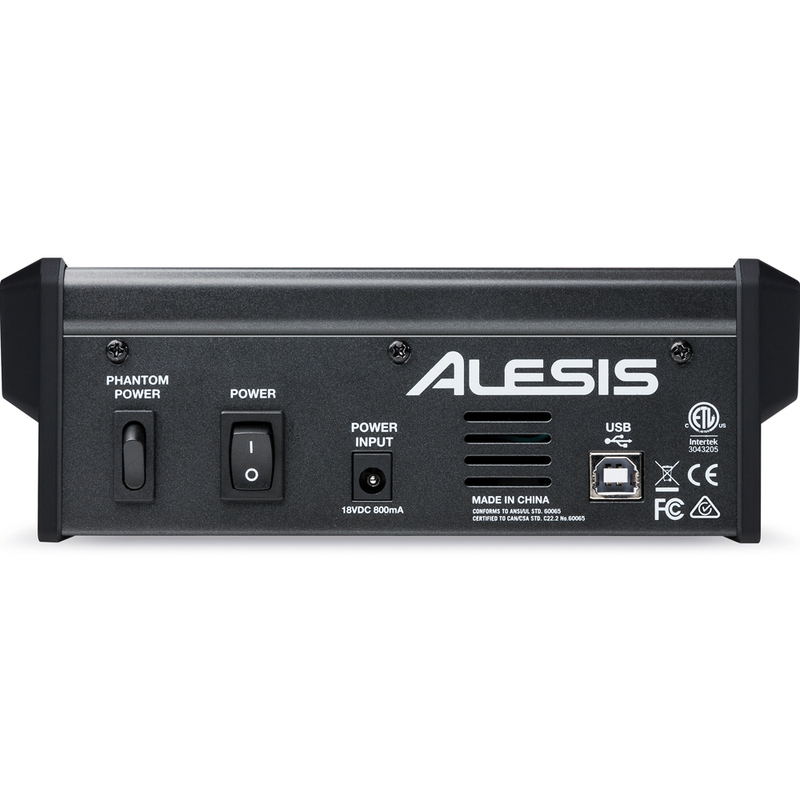 The MultiMix 4 USB FX mixer has a two-channel, five-stage, multicolour LED meter for real-time, visual level feedback, and features 15 high-quality Alesis DSP effect variations including reverb, delay, chorus, and more. 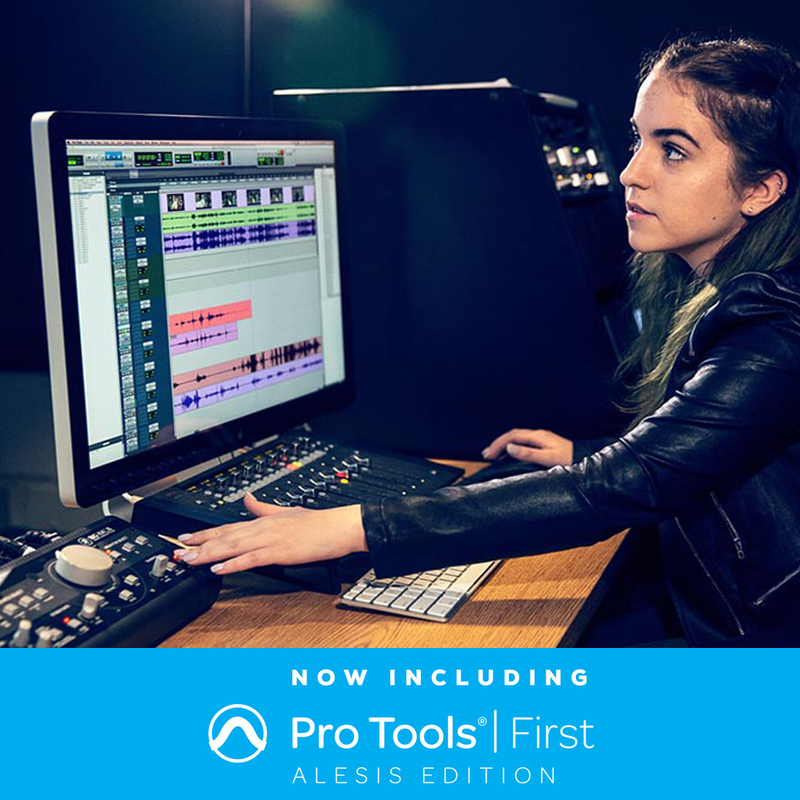 You can plug the MultiMix 4 USB FX’s class-compliant USB connection into your Mac or PC without the need for software drivers and enjoy a digital-direct stereo connection with virtually any audio software application. 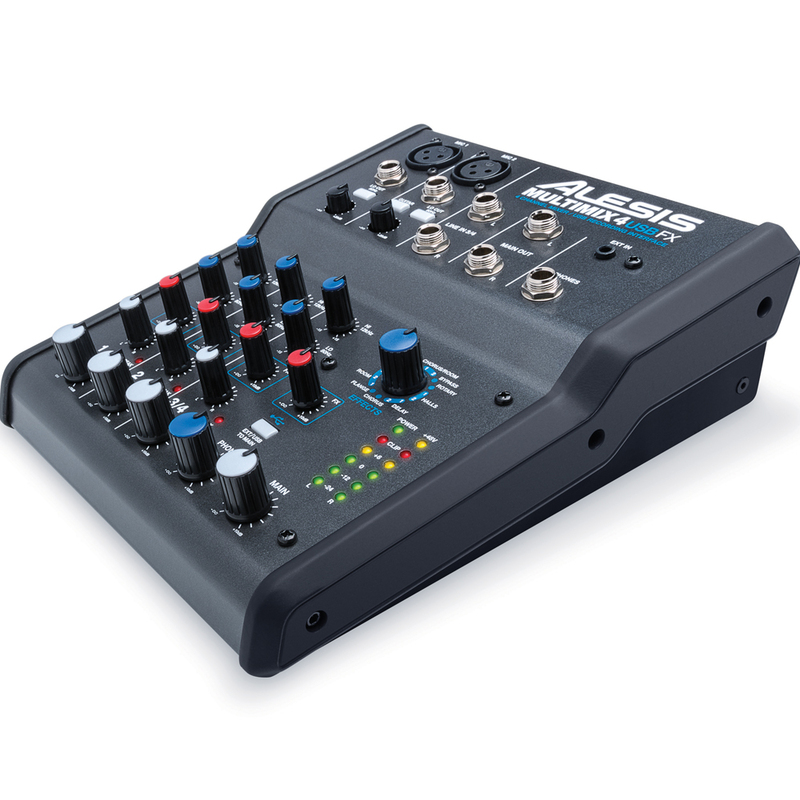 With its complete USB recording interface, The MultiMix 4 USB FX enables bidirectional stereo playback, so you can record the stereo Main output into your computer and listen back using the mixer as an interface from software to headphones and monitoring loudspeakers. You can also record directly to your iPad via the Apple iPad Camera Connection Kit (sold separately). Also included in the package is Cubase® 7 LE for out-of-the-box music creation. Dimensions (L x W x H) 7 3/4" x 6" x 2"